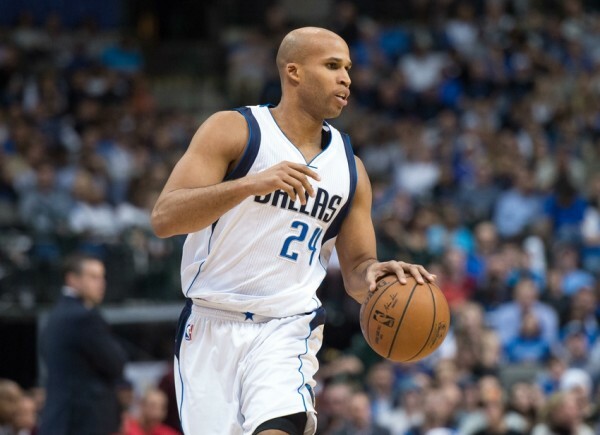 The Dallas Mavericks keep missing out on sure deals, as Richard Jefferson, who played for them last season and was on his way to re-sign for them, ends up making a U-turn and taking a one-year, veteran’s minimum deal from the Cleveland Cavaliers. Jefferson will be entering his 15th NBA season, following his year with Dallas, in which he played 74 games, averaging 5.8 points and 2.5 rebounds in 16.8 minutes per game. The Cavaliers aren’t signing him so he’ll make too much of a difference. It’s simply nice to have a veteran who can still put up some nice numbers if necessary, although the Cavaliers hope he just serves as insurance. The Mavericks missed out on DeAndre Jordan who gave them his verbal agreement before pulling a 180 and signing back with the Los Angeles Clippers. The Mavericks were the closest team to signing Jeremy Lin for a while but during the whole Jordan fiasco, Lin slipped away and signed with the Hornets. The Mavericks did get Deron Williams to fill their point guard position. And Jefferson, while not exactly vital to anyone’s plan at this point, was going to re-sign for them and help them with their rather weak bench. But he prefers playing on a team that might be playing for a championship, not one that’s probably going to make the playoffs but not going too far there. Mark Cuban said he wasn’t blindsided by Jefferson signed with the Cavaliers, and it actually opens up some interesting options for the Mavericks on the bench, and also gives them the opportunity to play Justin Anderson some more after he impressed in the Summer League. Jefferson has been in the NBA since 2001, taken 13th overall by the New Jersey Nets. He has played for them until 2008 before beginning his move through a number of teams: the Bucks, Spurs, Warriors and Jazz. He has averaged 13.9 points per game with 4.3 rebounds in 1008 regular season games.